Wide-angle zoom lenses are the thick end of the wedge, at least when it comes to viewing angles. With zoom ranges starting at just 8mm for APS-C format DSLRs like the Canon EOS Rebel T7i (EOS 800D) or Nikon D3500, and 11mm or 12mm for full-frames, you can shoehorn vast areas of a scene into the image frame. It’s great for shooting sweeping landscapes or architecture, and arguably even more useful when shooting indoors, where space is limited and your back’s up against the wall. Another key attraction of ultra-wide lenses is that you can create images with extraordinary perspective effects. Get in close to the main subject in a scene and you can massively exaggerate its relative size, against a shrunken and rapidly receding background. Parallel lines appear to converge at alarming rates and shots generally get a proper wow factor. Another bonus is that short focal lengths equate to huge depths of field. Unlike in portraiture, where it’s often favourable to blur the background, wide-angle lenses enable you to keep very close subjects and the distant horizon simultaneously sharp. Some lenses deliver a 180-degree viewing angle but these are curvilinear or ‘fisheye’ optics. They’re renowned for their extreme barrel distortion. By contrast, all of the lenses in this round-up are rectilinear, aiming to keep distortions to a minimum. It’s sometimes said that photographers often only use this type of lens at or near its shortest focal length. However, many ultra-wide zooms give almost no distortion at mid-range to long zoom settings. 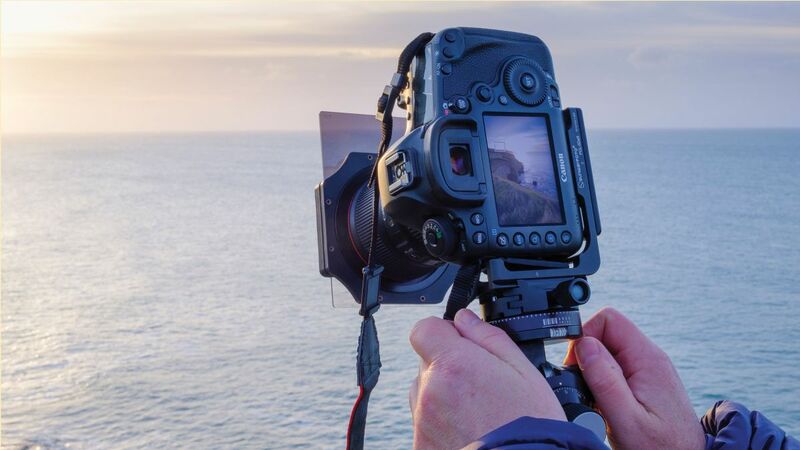 You can therefore enjoy much less distortion towards the long end of the zoom range, especially compared with using a ‘standard’ zoom lens at a matching focal length. Most APS-C format ultra-wide zooms have variable aperture ratings, with their widest available apertures shrinking toward the longer end of the zoom range. By contrast, most up-market full-frame lenses are constant-aperture designs, maintaining either f/2.8 or f/4 widest apertures at all available focal lengths. Naturally, combining wide viewing angles with wide aperture ratings requires very large-diameter front elements, especially for full-frame lenses. Especially in the full-frame camp, many ultra-wide lenses have particularly bulbous front elements that protrude from the front of the lens barrel. For physical protection, as well as to reduce ghosting and flare, they therefore have a built-in petal shaped lens hood. The same arrangement is used in the ultra-wide Sigma 8-16mm APS-C format lens. A downside is that these designs don’t enable filters or a filter holder to be screwed into the front of the lens barrel. However, Lee Filters markets an SW150 Mark II filter system with custom adaptors to fit various ultra-wide zooms including the Canon 11-24mm, Nikon 14-24mm, Sigma 12-24mm, Tamron 15-30mm and Tokina 16-28mm lenses. This enables you to use neutral density and ND grad filters, popular especially for landscape and architectural photography.